I’ve never considered myself to be a particularly “heart-centered” individual. Quite often I have questioned if was even capable of love. “What does that even mean anyway?” Living in a selfie-centered society that breeds fixation and co-dependency, I never understood what it meant to truly love without condition, without some weight of debt or to surrender to dharma- Not until my teacher died. It’s been just a year now and I remember the striking effect the news of his passing had on my heart. It felt raw. I was confused. Prior to this point my yoga practice tended to be intellectual and practical. The thought of Bhakti made me nervous and I was skeptical of blissed-out hippies (still sort of am). But something magical happened on the day of Jonathan’s death. When I asked his wife, Angela, “what do you need?” and she replied, “I need you to come back to San Diego and teach all of (his) classes,” a strength and confidence emerged from within me that I can only describe as unconditional love. It was a bravery I had never before experienced. For the first time in my life I felt an absolute sense of duty. The maneuvering which was required to leave San Francisco on such short notice, to face trying to rebuild my life once again in San Diego was massive. But somehow I wasn’t afraid. The deep respect and admiration I have for Jonathan, and the desire to be there for his family, for his students was the fuel to forge ahead with no questions asked. Since this transition, life has begun to blossom in ways I could have never imagined. It seems that all aspects of my being have grown, evolved, matured. I’ve resigned a part of my own identity to play the instrumental role of carrying out Jonathan’s work with the Bheemashakti Yoga School and it feels great. This devotion to serving my teacher connects me the essence of God that threads through the entirety of existence. Surrendering to this is absolute freedom. 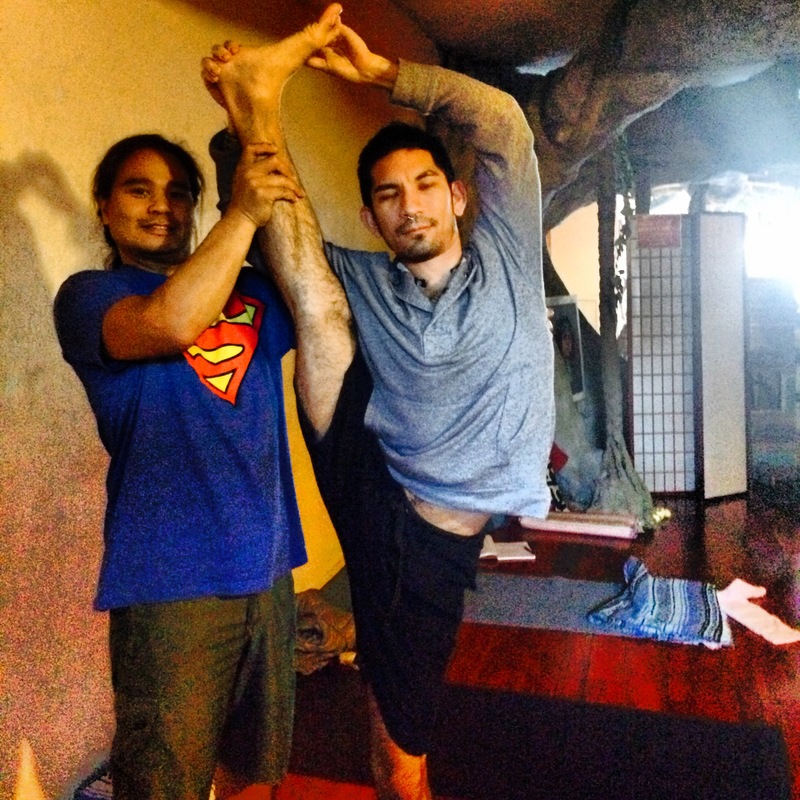 The discussions Jonathan and I had over the years really shaped the way I saw yoga, spirituality and life. He never told me what to think or believe, but instead pointed me in the direction of the answers I was looking for. He truly felt that a student should have their own experiences in order to gain insight and develop wisdom. This is a concept that has been proven valuable in my experience. And in looking back at how much has changed since the day I received the call, I realize that my heart was due for a major tune-up. The greatest gift my teacher ever gave me was the spark of devotion. Now I understand what it means to be selfless and to serve with love. And through this concentrated energy emerging from my heart, the world around me continues to transform. No path of yoga is complete without knowledge, service, self-control and divine love. Join us in the beautiful Dominican Republic for a week of yoga and cultural immersion. Start each day with a yoga, meditation and mindfulness practice followed by fun on the beach and exploring the country as a local. Bring your friends or come solo, all ages and experience levels are welcome! Give yourself the opportunity to create deeper connections with your mind, body and spirit in an open and relaxed environment. Learn simple practices that you can incorporate in your daily routine to live a mindful and purposeful life. We will stay at Natura Cabana, a beautiful eco-lodge and spa, located directly on the beach and nearby the heart of downtown Cabarete. This culture and yoga retreat is organized by Uta, a certified yoga instructor with experience in organizing tours in the Dominican Republic. Beyond her love for yoga, Uta’s knowledge of local customs, nuances and logistics will make this experience memorable. *VAT not included. All other goods and services such as airfare, airport/visa fees, additional activities and spa services, bar drinks, food/drinks/incidental, travel insurance and gratuities will be charged separately. Interested in sharing accommodations but don’t have a roommate yet? You can sign up for a double and we will make every effort to help find you a roommate of your gender. If a roommate cannot be found by the final payment date, the single occupancy rate will apply. Space is limited, sign up today! 50% down payment due upon registration, final payment by March 31, 2017. Our mission is to express our gratitude for the gift of yoga by mobilizing the global yoga community to empower women and children in India to build sustainable livelihoods. Partially, the donations come from a group of friends who regularly find their way to the OM Home for our meditations. Yoga Gives Back began supporting micro credit programs in 2007. They lend small loans to women who are otherwise excluded from the conventional banking and financial systems. Today, YGB funds nearly 900 mothers and children with micro loan programs, education funds and scholarships for higher education in Karnataka and West Bengal. To learn more about Yoga Gives Back, check out their website. With the holiday season quickly coming to a close it’s probable that many of us are feeling worked. It seems that all around me there’s a mounting energy waiting to burst at the stroke of midnight New Years eve, when the entire world will collectively breathe a sigh of relief as 2016 rings in and grants us a few brief moments of respite. This season can certainly feel like a battle at times. Behind the pressure to be happy, grateful, joyous or celebratory, the last few weeks of the year triggers some deep suffering for many people. It’s in these times that our practice is so important. But if your life even mildly resembles mine, you’ve definitely had to surrender to daily duties and skip practice on several occasions. So how do we come out victorious on the other end of this? Retreat. Retreat deep into your own experience and discover the true resilience of your soul. On January 2, 2016 we are hosting a 21 Day New Year Transformation, an intensive program that will help to stoke the fire of practice and clear out the stagnation of the holidays. It includes 2 hours of yoga daily, combining pranayama, meditation, and physical practice. This rhythm can help to generate some deep transformative benefits in addition to solidifying a strong habit. Additionally we look forward to our annual Spring Detox on the North shore of Kauai from April 23-30. Over the course of this eight day, seven night retreat, we will dive deep into twice daily Bheemashakti Yoga practice and tap into the ancient magic of the Hawaiian islands. Both of these opportunities are a great way to reset your year and get into some healthy rhythms, but if you’re not able to get away don’t worry! Daily practice is king and even small improvements on a consistent basis will make great changes. You just have to be ready to redirect your attention and find that the battle is not something you can conquer outside of yourself, it’s something you win on the inside. 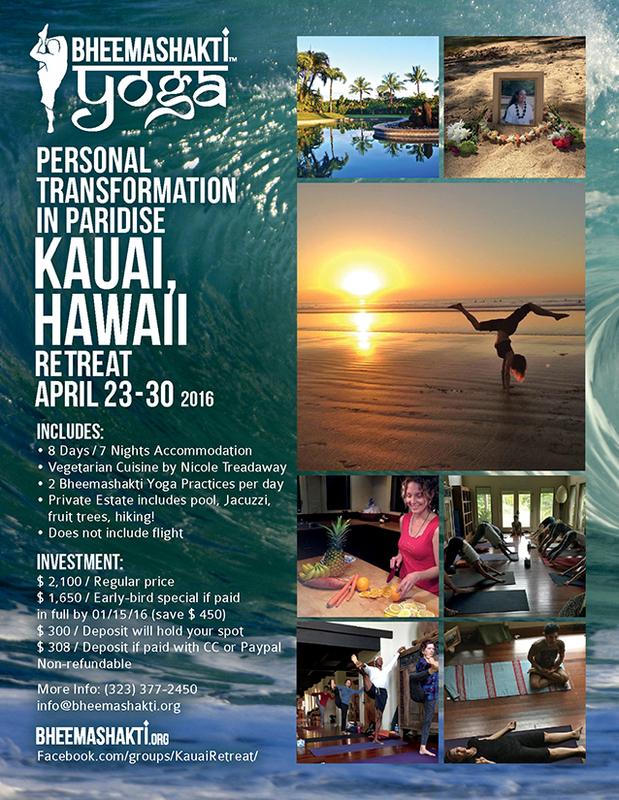 Join us for a week of Yoga in paradise! Message info@theomhome.com for more info. Kommt im April 2016 mit uns nach Hawaii! Eine Woche Yoga im Paradies! It’s Holiday season, stores are overflowing, people are in a hurry to get all the food items or gifts they want to give to their loved ones. Some simple hand mudras (hand gestures) can help us in stressful situations. During a recent visit to Germany, I attended Satsang (a gathering) with Dechen Thurman at Jivamukti Yoga Berlin. He shared with us some stories about Sir Francis of Assisi, particularly from his book The Little Flowers of St. Francis , and we spent some time sitting in meditation with these two hand gestures, or “Mudras”. Simply place the tips of thumb, ring finger and little finger together while keeping the other fingers extended. Hold for 5 to 30 Minutes as needed. 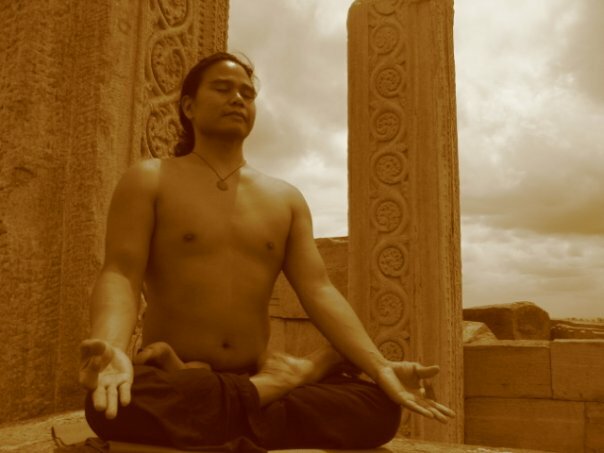 Dechen is holding the Kubera Mudra, which will give inner repose, confidence and serenity. It is used to “put more force behind … plans for the future. It always involves goals that people want to reach, or wishes that they would like to have fulfilled.” It can be used when looking for a free parking space, the right gift, or necessary information. This mudra also decongests the frontal sinuses, which can come in handy during winter time. The tip of your thumb, index and middle finger are placed together, while the other two fingers are bent. For the past five years I have been attending both Bhakti Fest in September and Shakti Fest in Spring. It has been my dream to share this extraordinary experience with people. 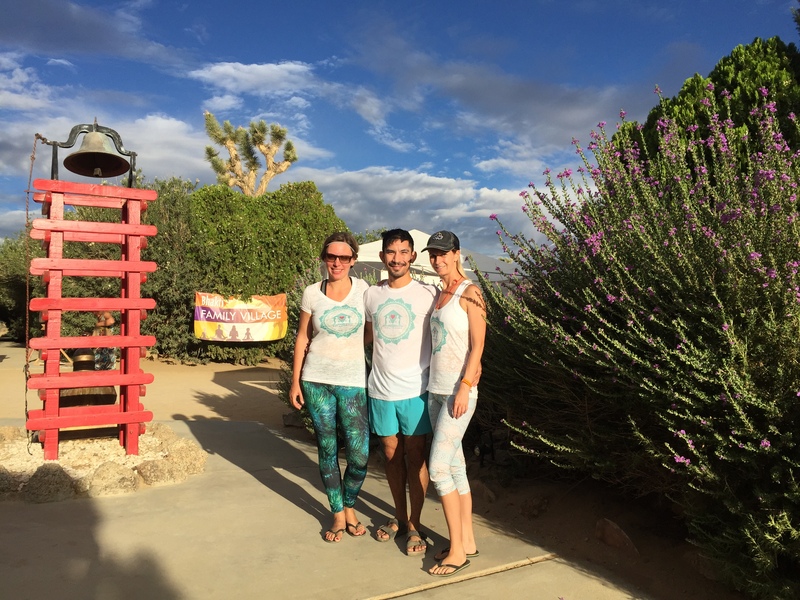 For the first time, Troy was able to join me to the festival, and our friend Yvonne made her way to California from Germany, to join us on our ventures to the California desert. 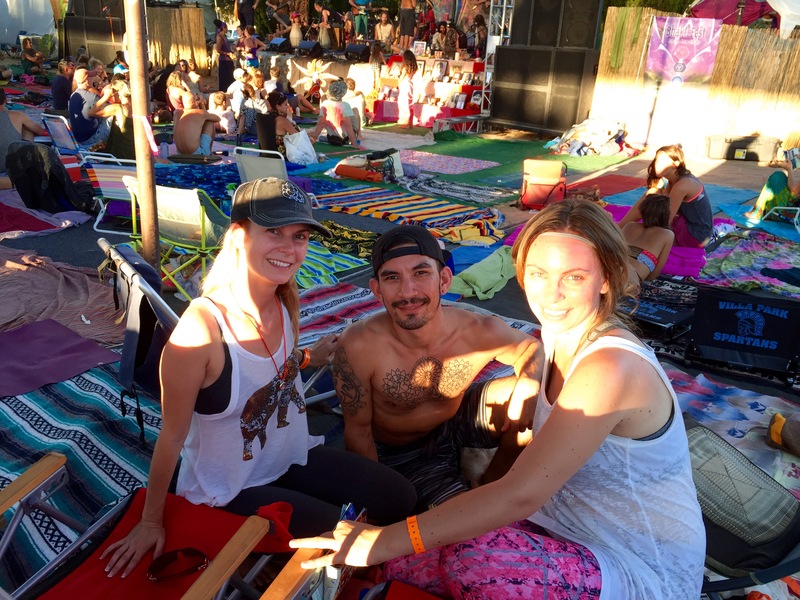 Over the years, I have had the opportunity to take classes with most of the yoga teachers at the event, so this time I decided to dedicate most of my time to listening to Kirtan and chanting along. Yvonne and Troy explored some yoga classes with teachers they hadn’t met, such as a Kundalini class with Kia Miller and various workshops. It was a privilege for me to assist in Tim Miller’s classes on Saturday and Sunday. Quite a big crowd of curious students found their way to the Ashtanga classes, although they most likely were the most challenging option on the schedule. In honor of Hanuman’s weekday Saturday, we chanted the Hanuman Chalisa together with the whole group of students. Message us to join us to one of the festivals in 2016! 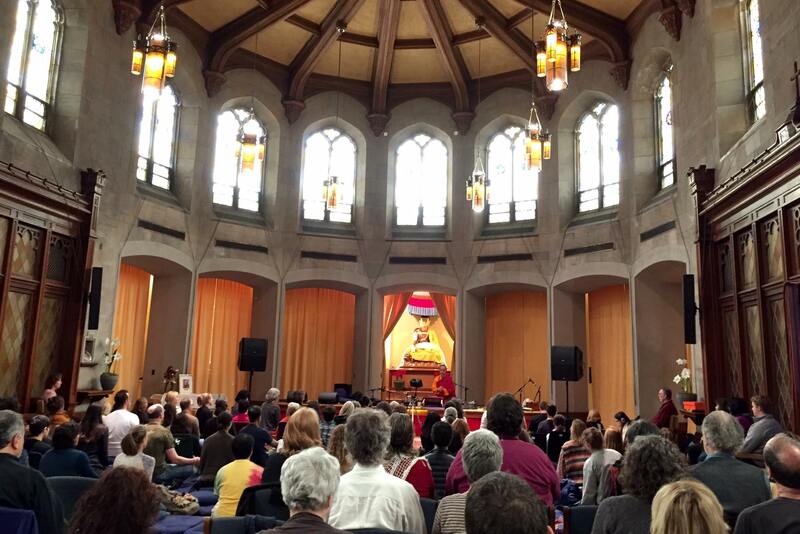 Barely returned from our trip to Hawaii, I packed my bags again to head to the Garrison Institute in Upstate New York for the Heart of Devotion retreat. 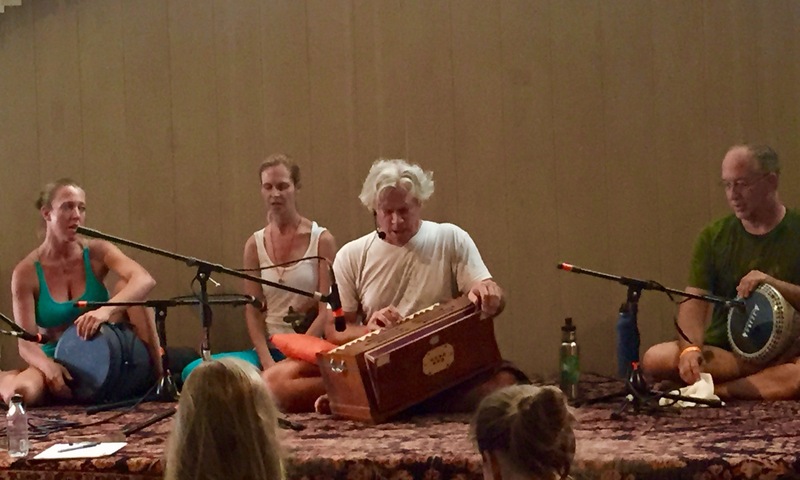 The lineup was phenomenal: morning yoga classes with Tim Miller (Timji), afternoon sessions on Buddhist chanting with Tulku Sherdor, Hanuman Chalisa’s with Nina Rao, and stories and chanting with Krishna Das, aka KD. The evenings were reserved for Kirtan. 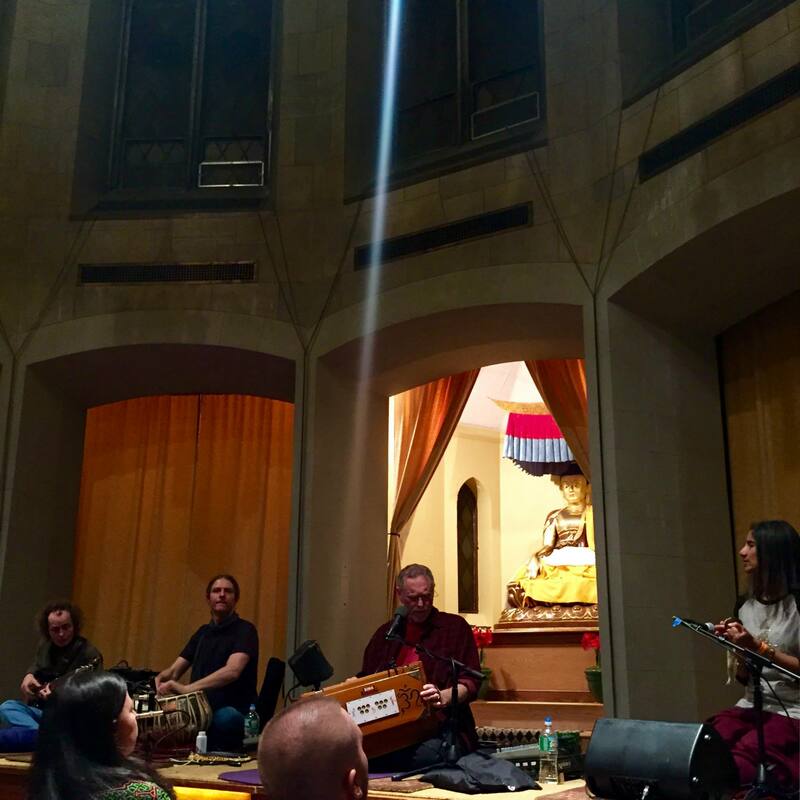 I took this picture when KD was chanting during the first night – check out the beam of light shining down on his harmonium! Tulku Sherdor gave a very special workshop on devotional tibetan chanting (picture at top of post). You can watch the full workshop here. Another highlight of the weekend was to meet Leslie Kaminoff, who stopped by to catch up with his friends KD and Tim Miller. Krishna Das will be taking a sabbatical next year, let’s hope for a repeat of this lineup, soon! 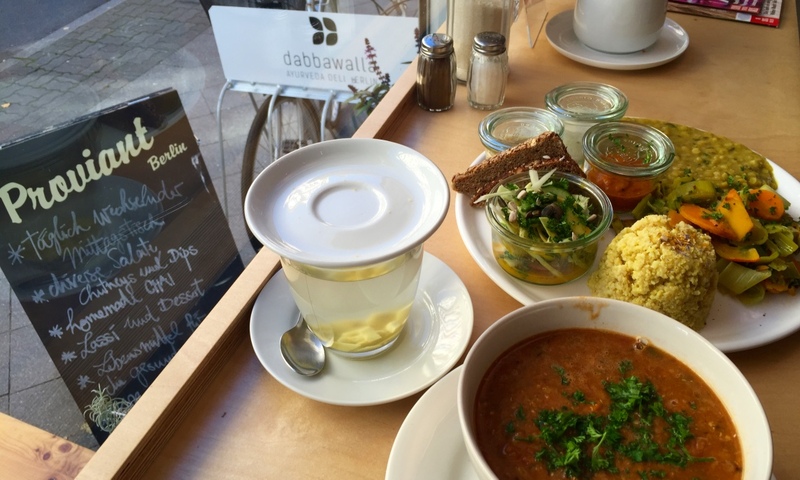 After our last visit to Berlin, Troy found out about the ayurvedic deli Dabbawalla in Berlin Schöneberg. Today I had a delicious meal there. My friend and I shared a most delicious red lentil soup and their Thali of the day. A Thali is an Indian meal served on a round platter and comprised of a selection of dishes. Ayurvedic thought is to offer a balanced variety of all the different flavors in one meal: sweet, salty, bitter, sour, astringent and spicy. Today’s meal was made up of millet with amaranth, mixed veggies with leek, Dal with yellow lentils, grape/apple chutney, red pepper chutney, hemp seed raita, a light salad and bread. Very tasty, very healthy, and definitely worth a visit while in Berlin.